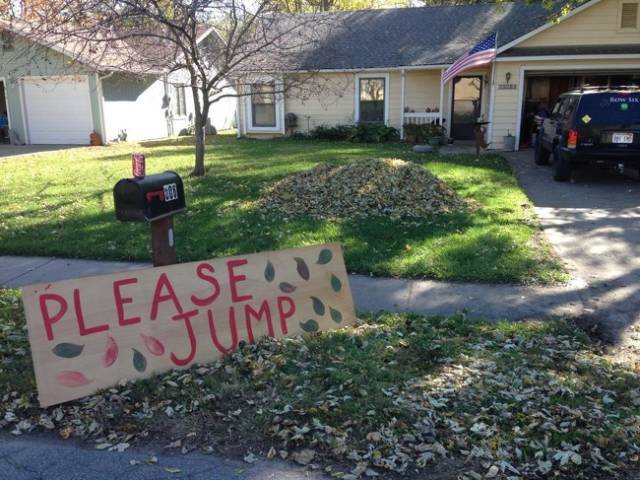 A kind neighbor raked a pile of leaves and invited people to jump into it. 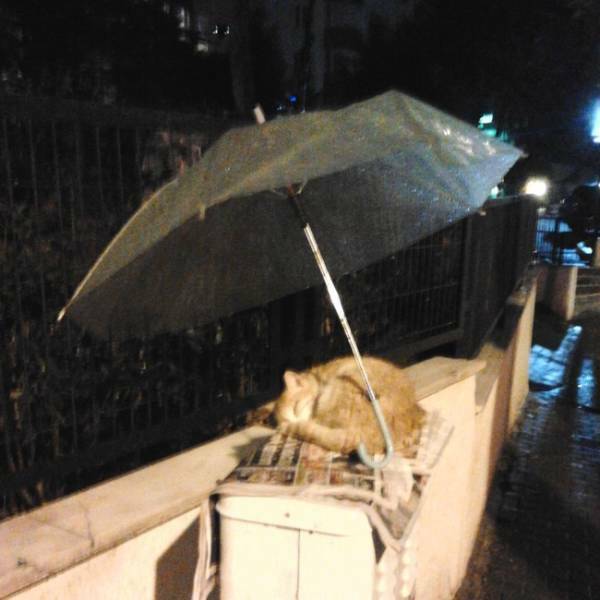 Someone sacrificed their umbrella to prevent this cat from getting wet. 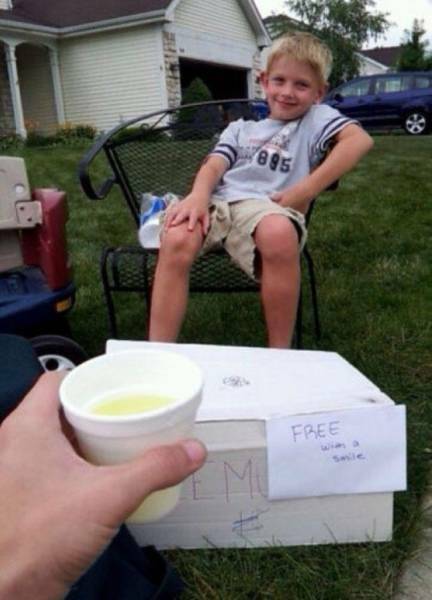 This boy is giving out lemonade for free on a hot day. 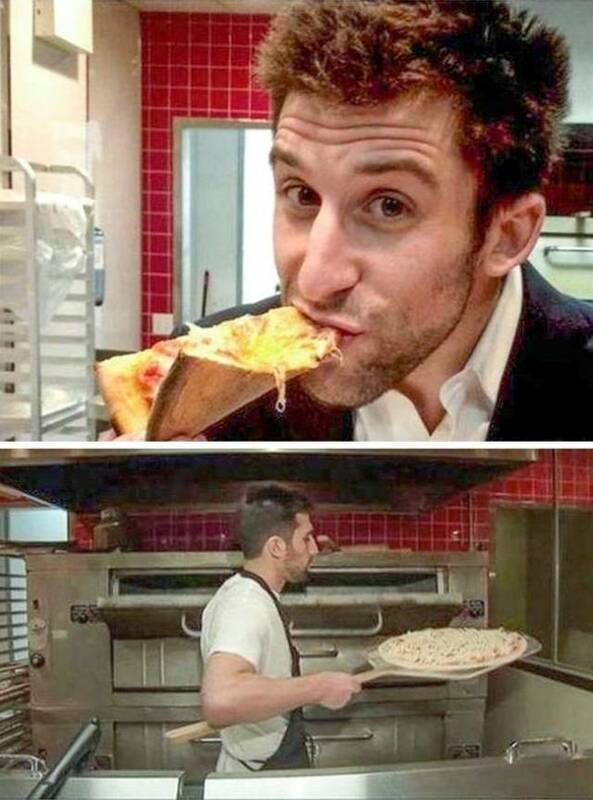 This man sells pizza to the needy for just $1. 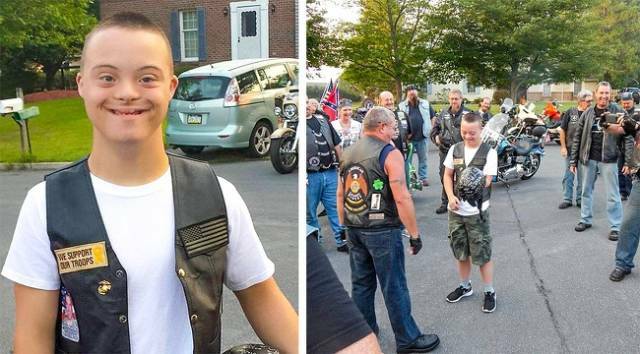 Bikers are escorting a boy with Down syndrome on his first day at school. 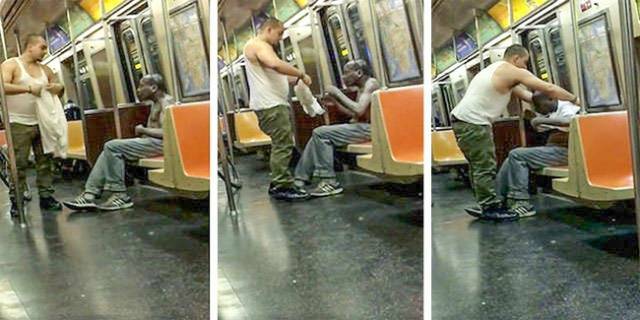 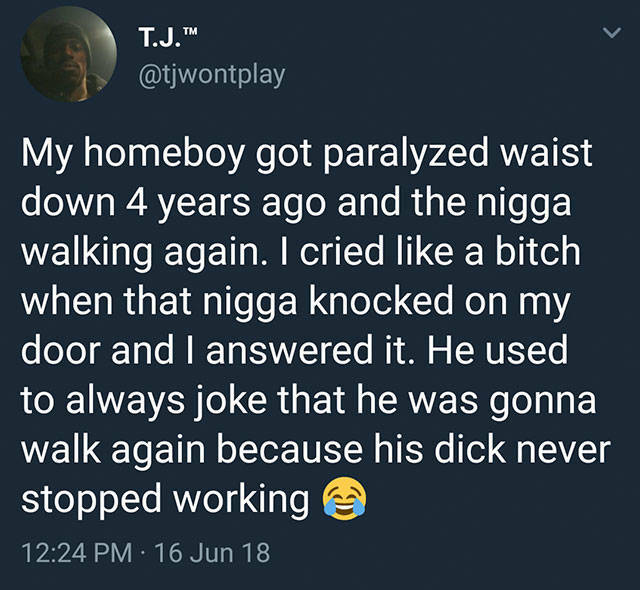 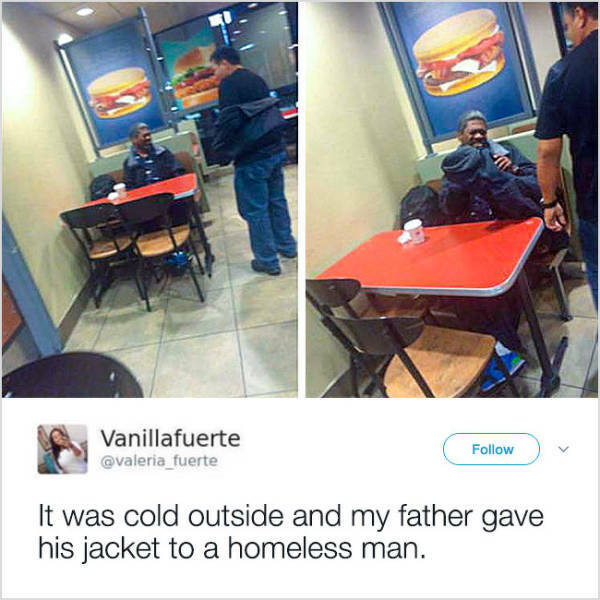 This man gave his T-shirt to a homeless man. 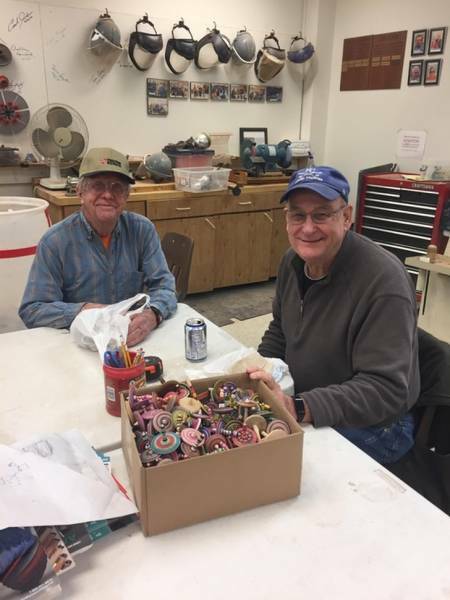 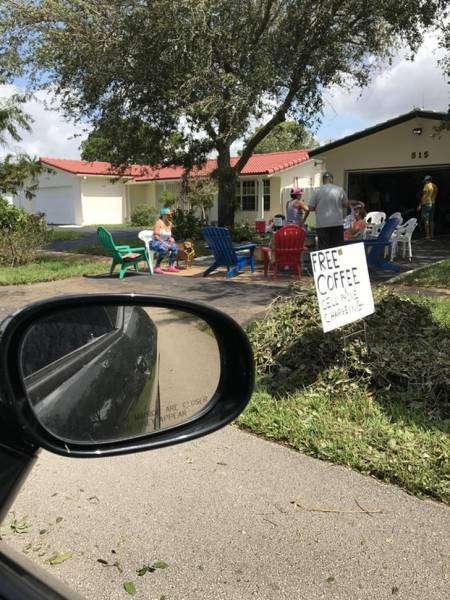 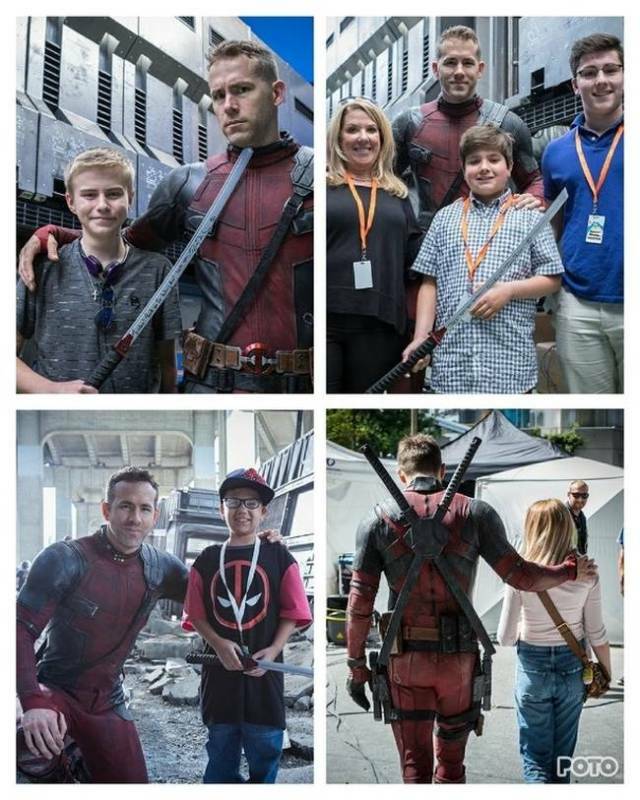 These guys offered their assistance to local students. 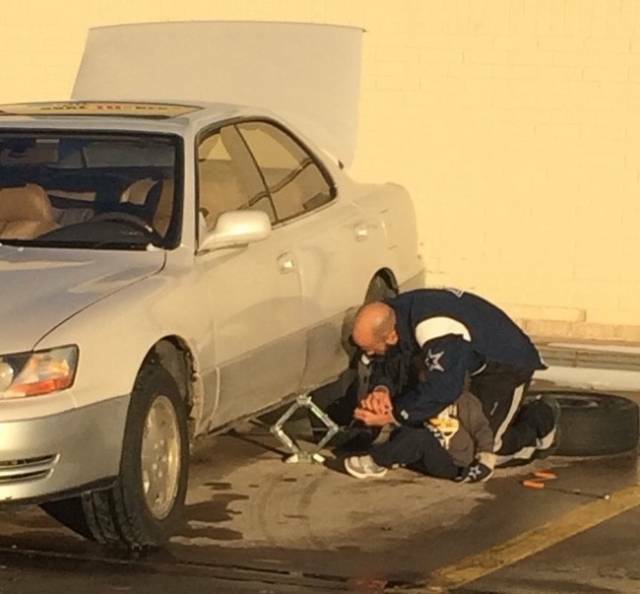 He is teaching his son to replace car tires. 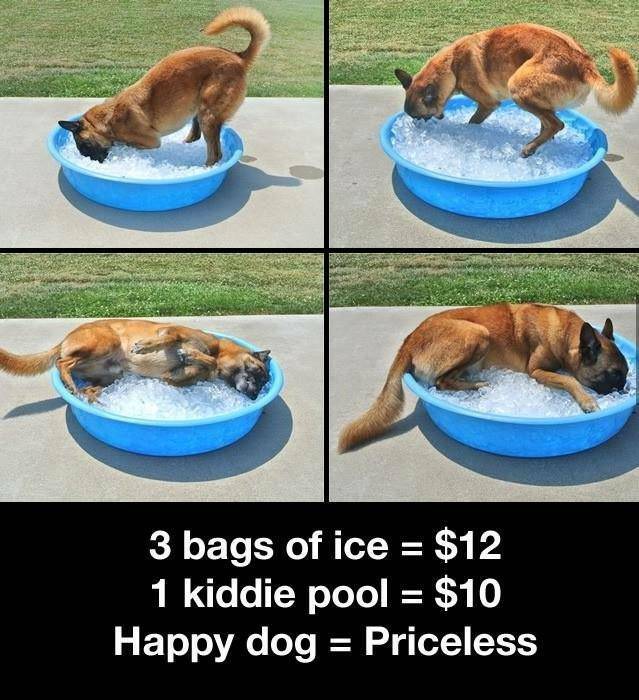 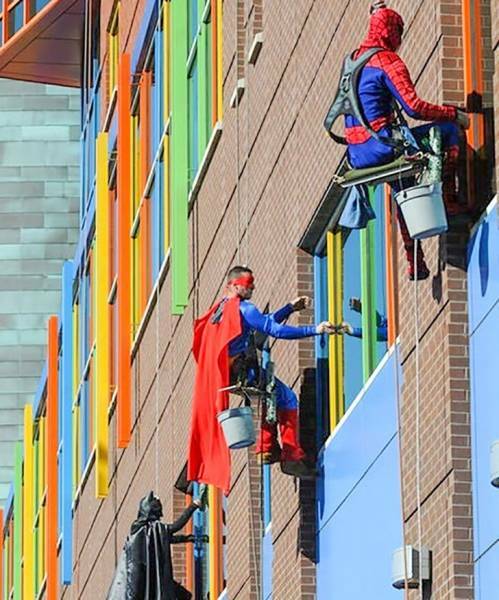 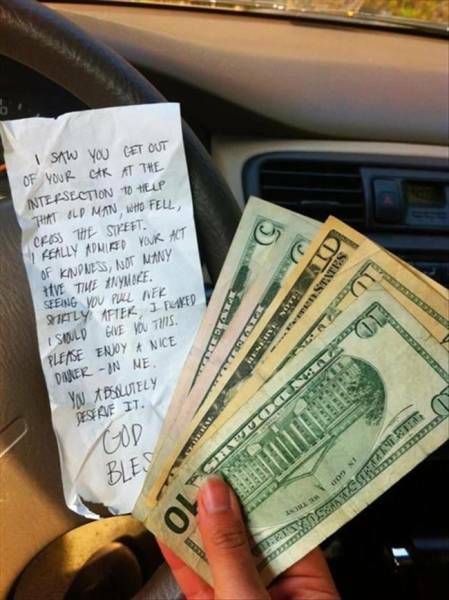 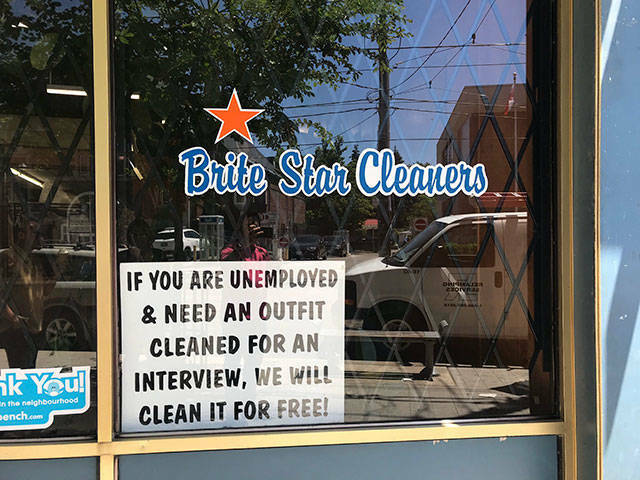 This definitely restores faith in humanity. 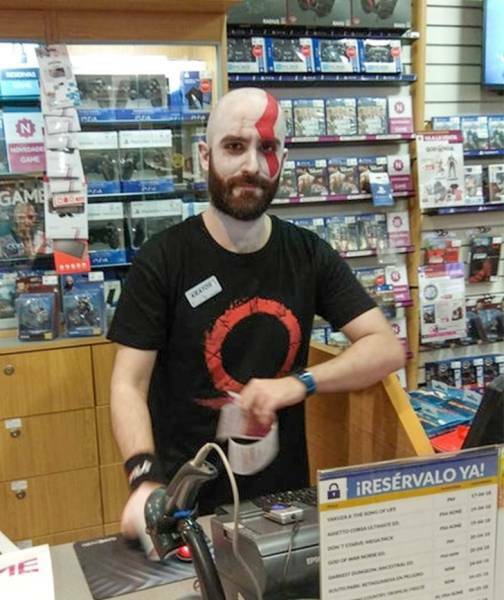 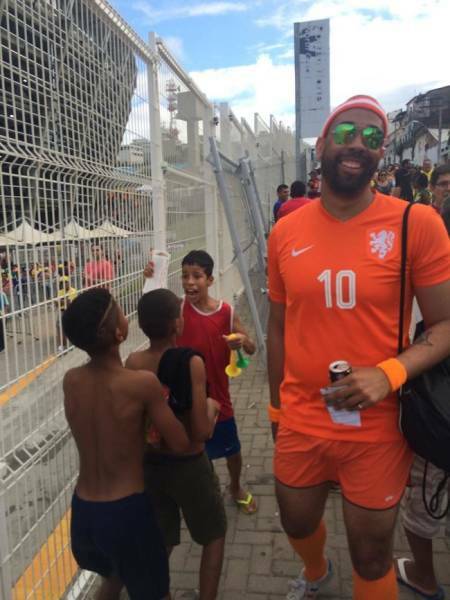 This man had 2 extra tickets to a football match. 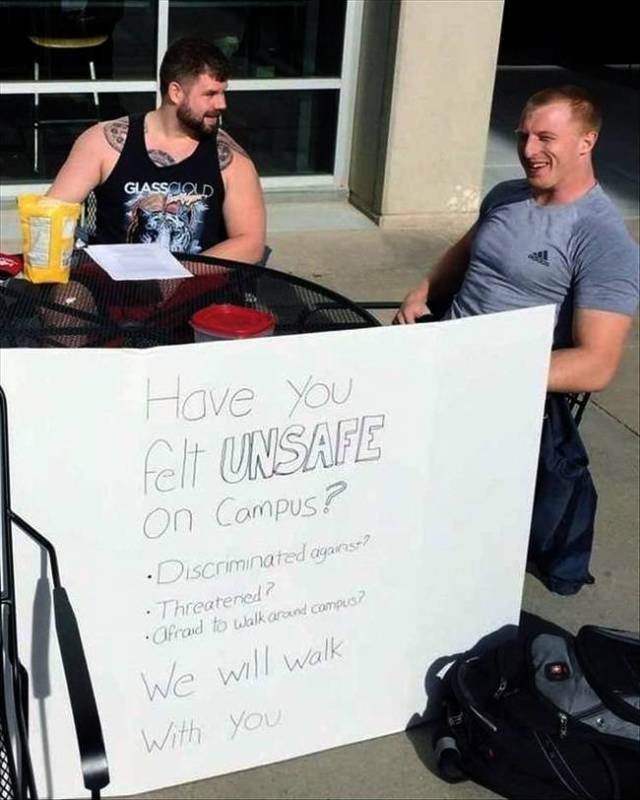 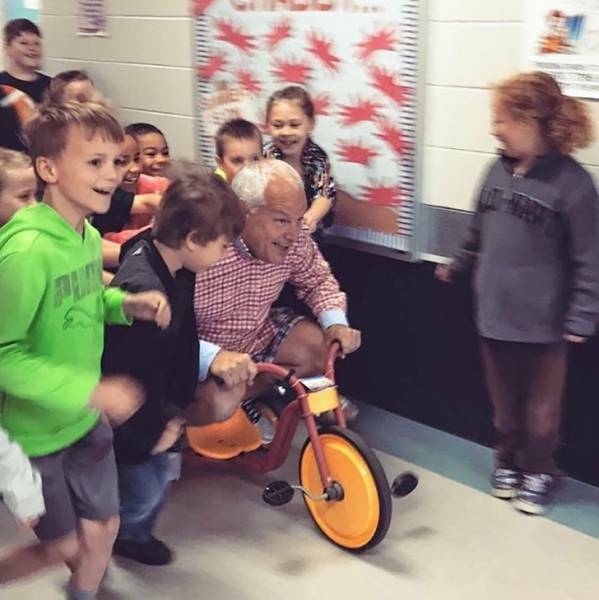 He presented them to these boys instead of selling them. 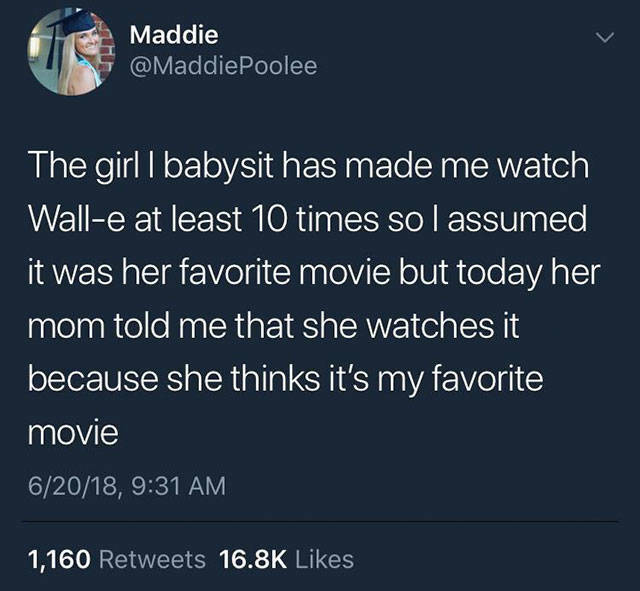 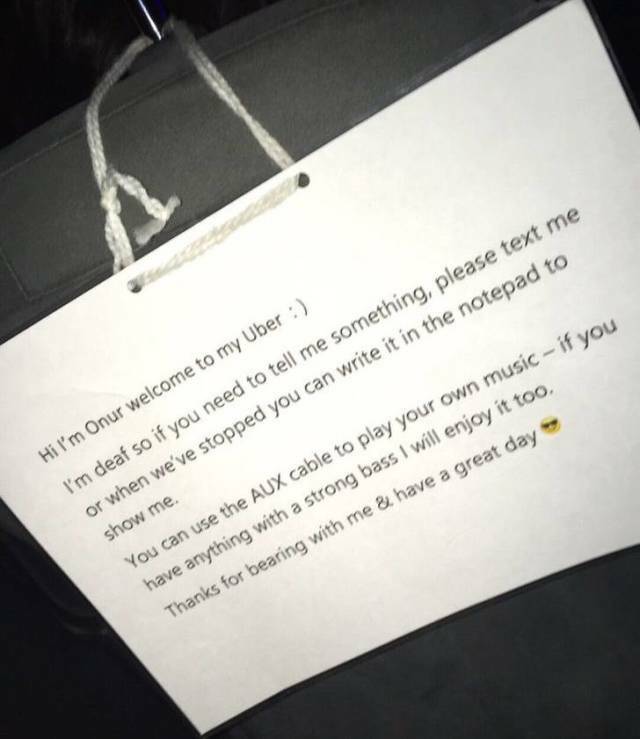 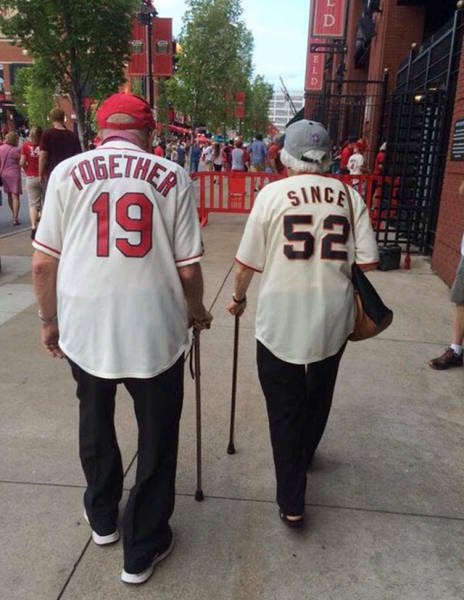 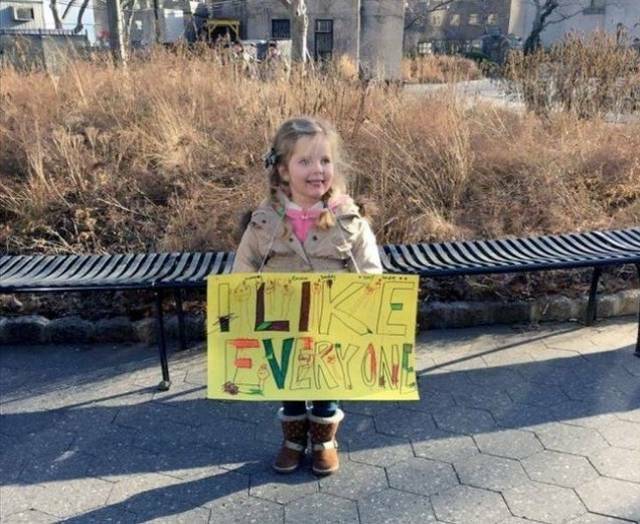 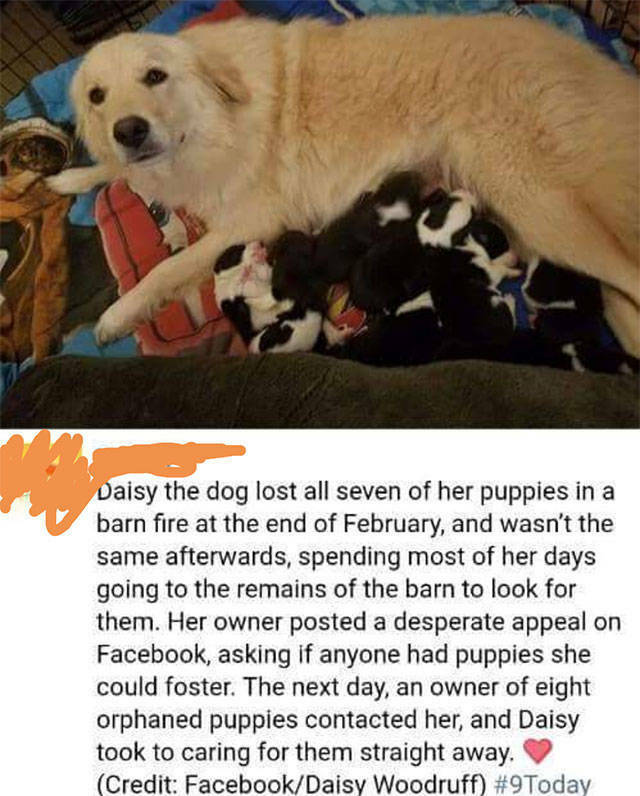 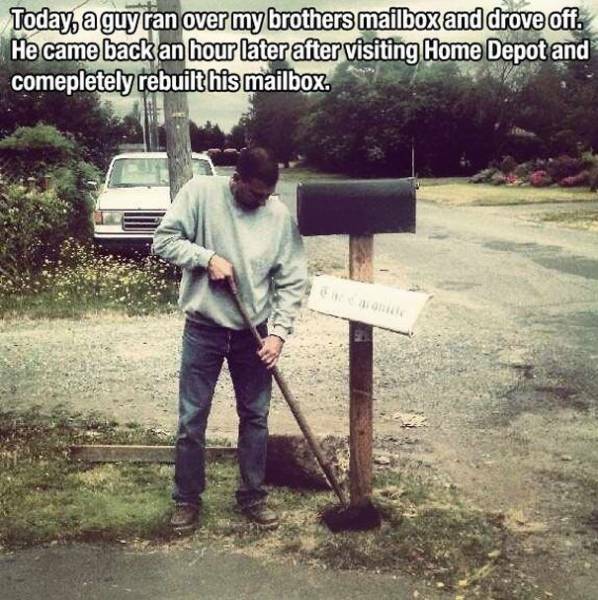 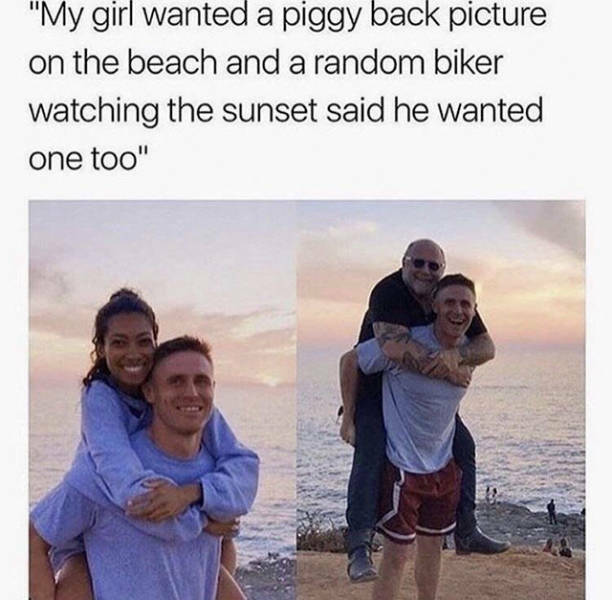 Our world definitely needs more people like this. 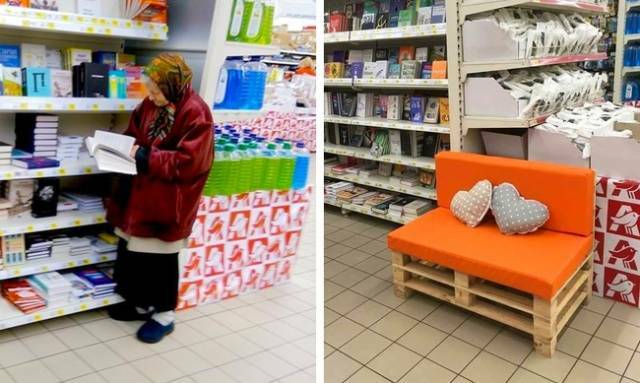 A small sofa was placed in a bookshop for an old lady. 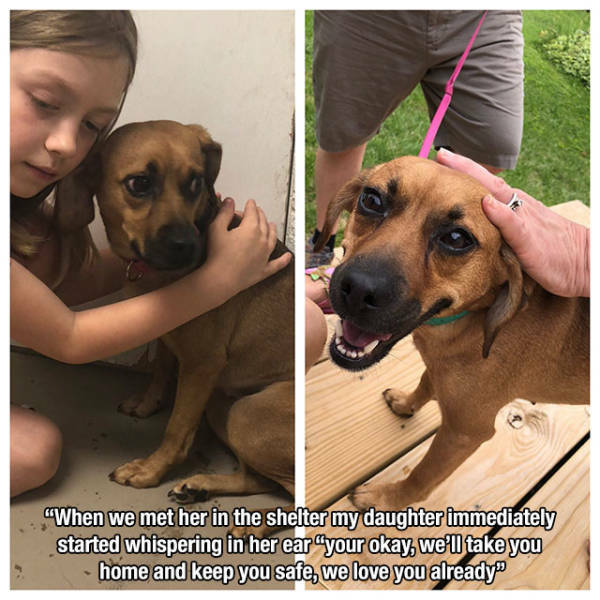 She visits the shop to read books quite often. 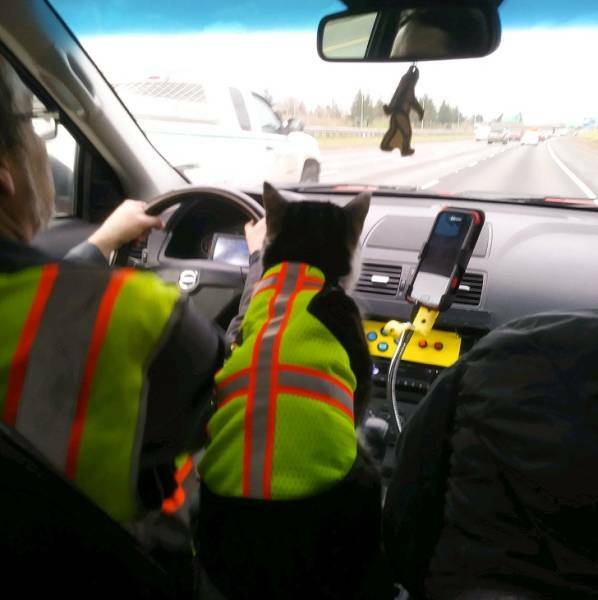 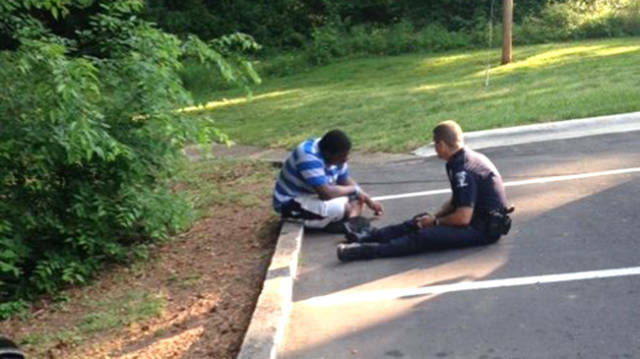 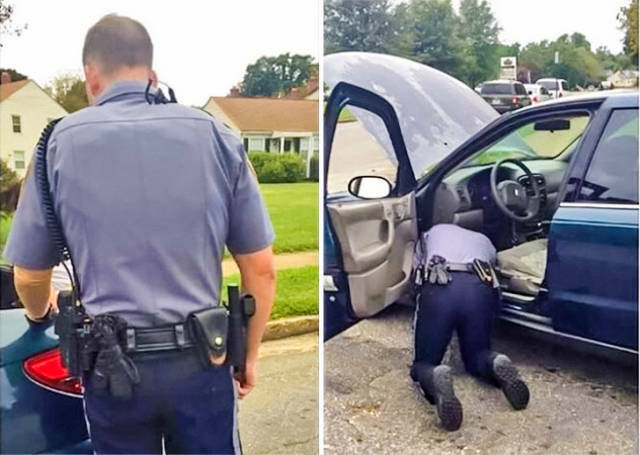 A policeman stopped a driver because his lights didn’t work and then helped him fix them. 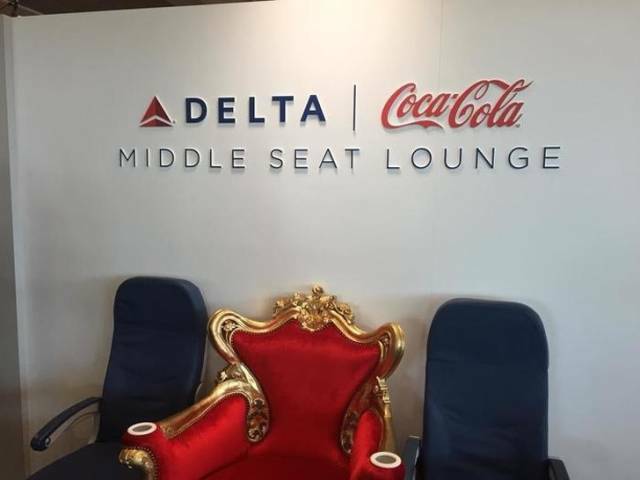 This seat in the Delta Lounge is for the people who got a middle seat on the plane. 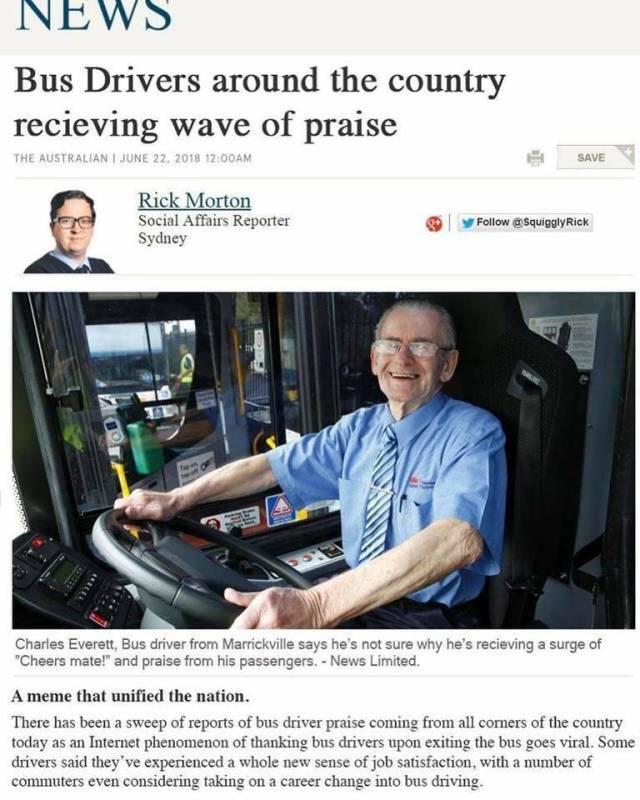 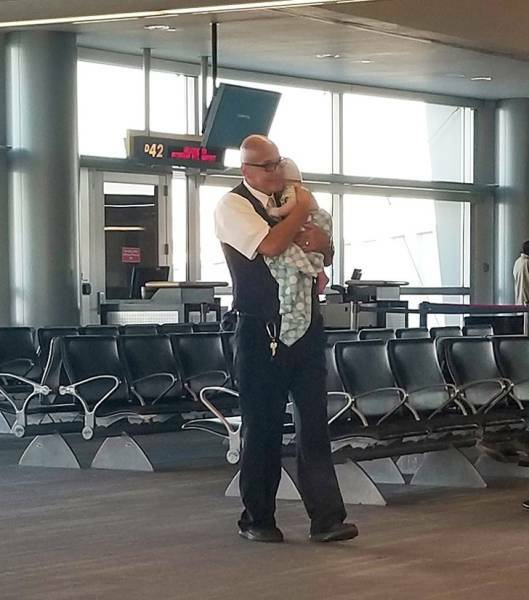 These passengers also get a free cookie and a drink. 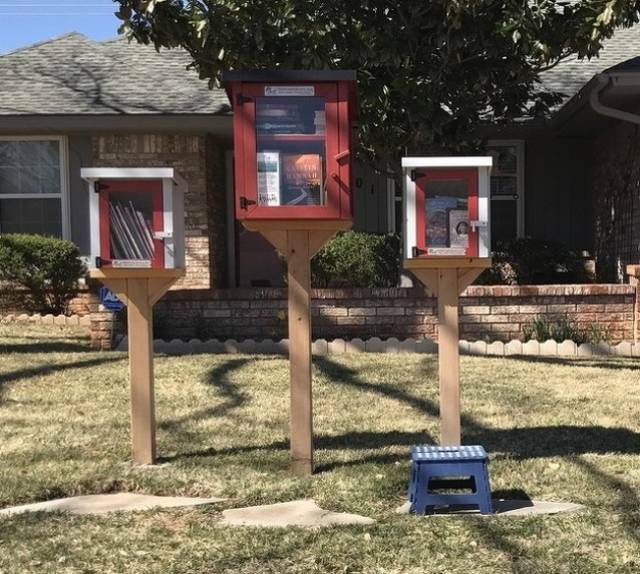 A woman created public boxes where anyone can put things that other people might need. 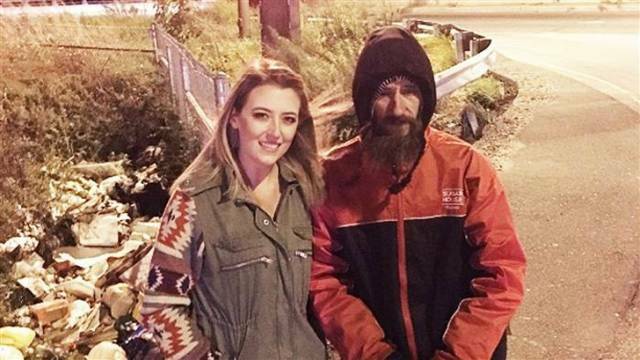 When this girl ran out of gas a homeless man helped her and spent the last $20 he had. 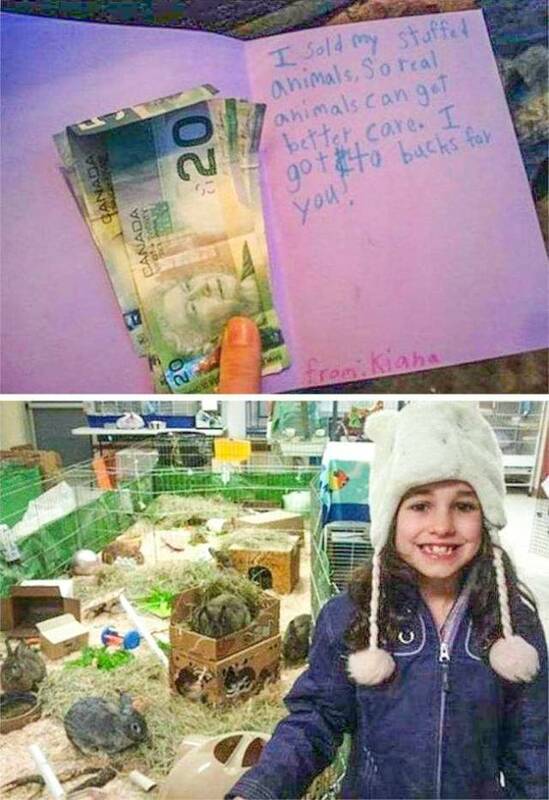 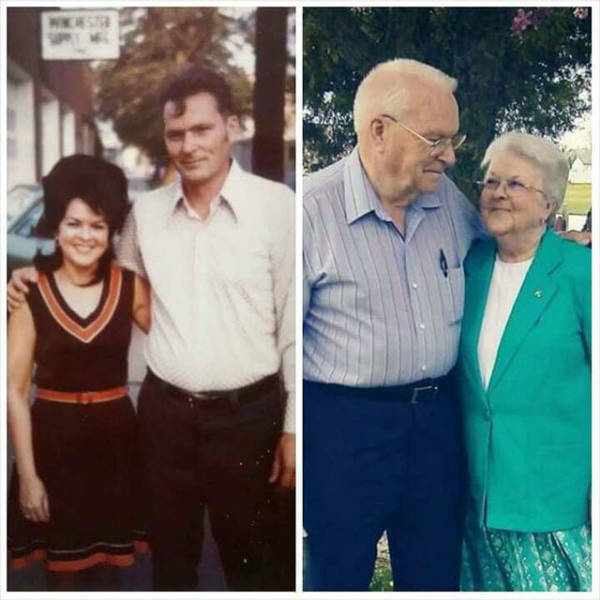 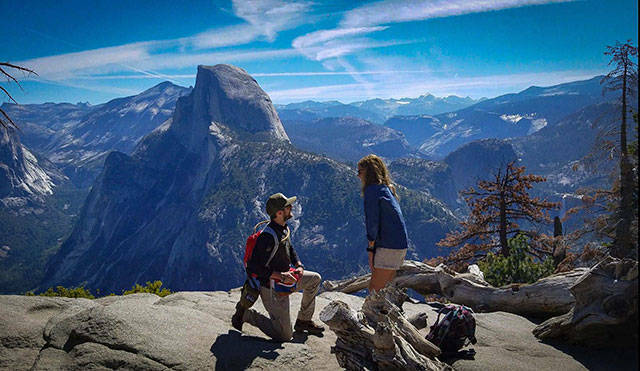 In order to thank him, the girl started a fundraising campaign and people have donated over $400,000. 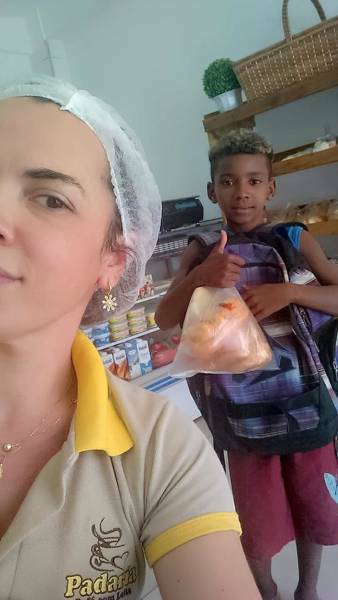 Instead of going to school this boy stopped at a cafe and asked for food because his family was struggling. 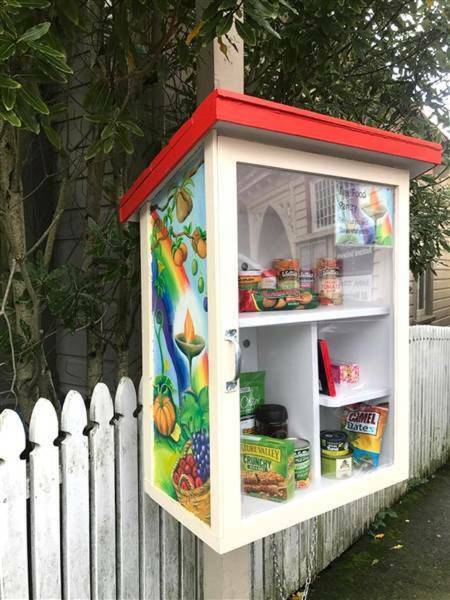 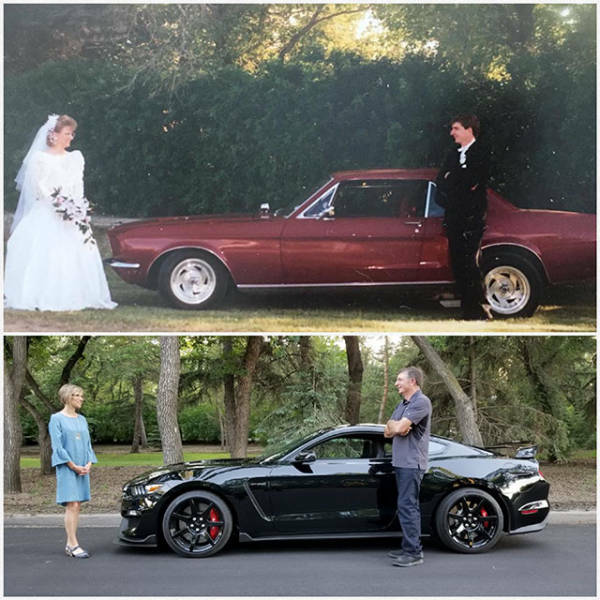 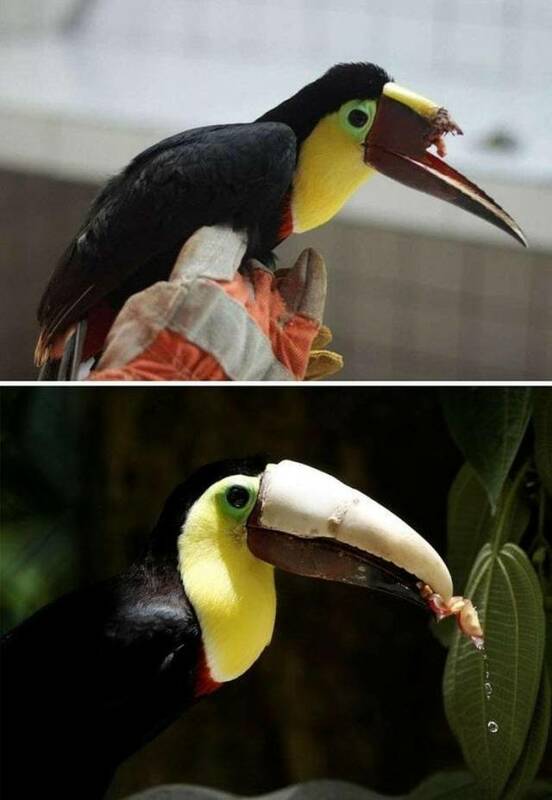 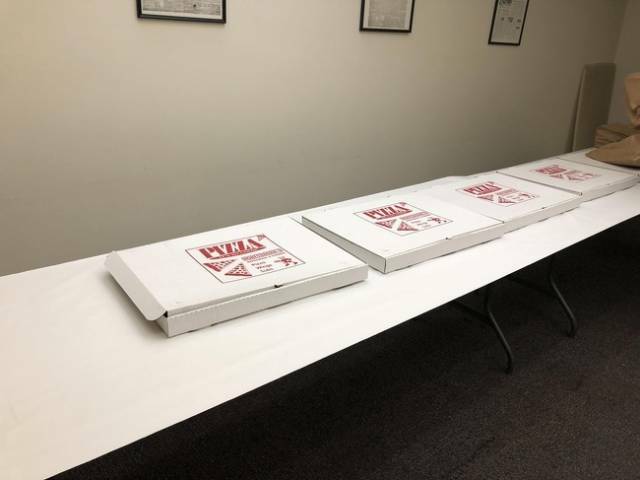 The owner realized what was going on and offered to feed his family once a day in exchange for his completed homework. 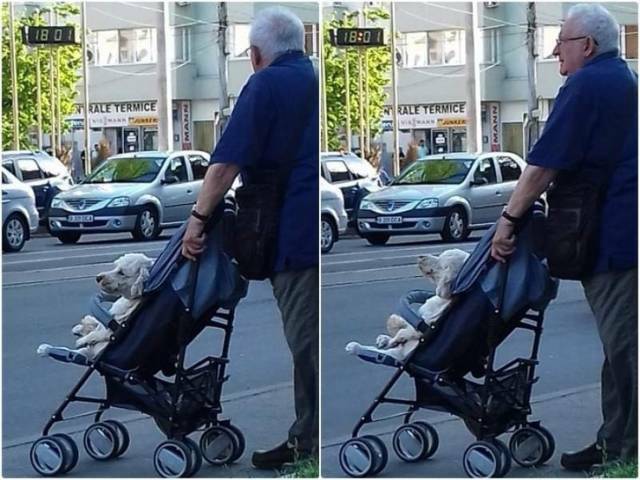 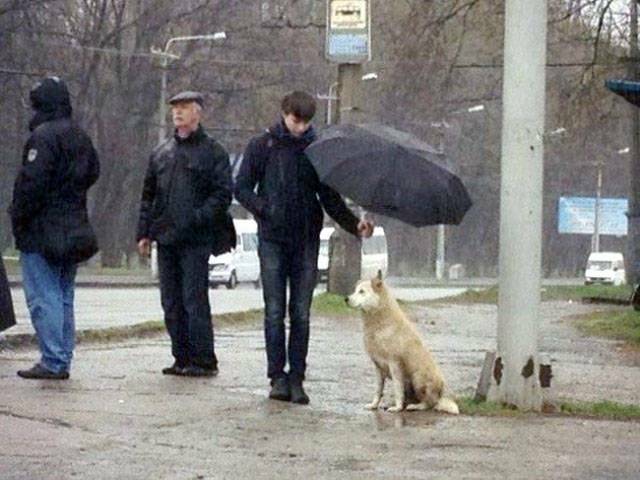 His dog has trouble walking and he found a solution so they can still enjoy their walks together. 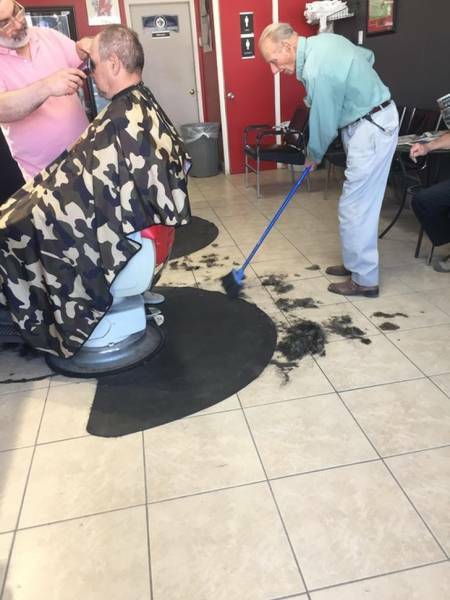 This barber wasn’t feeling well because of a cold, so an old friend helped sweep up the hair for him. 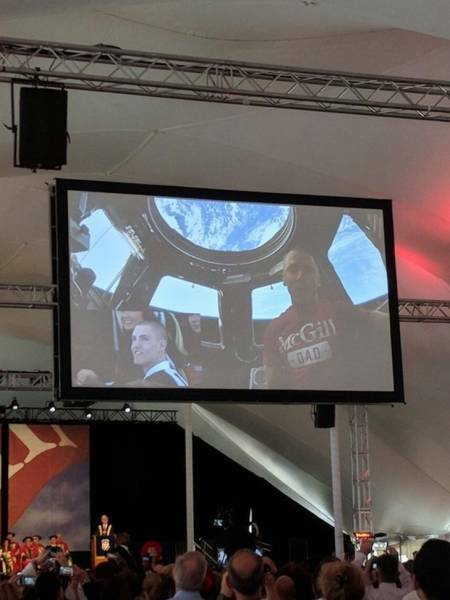 Dad’s job keeps him from his kid’s graduation, but he telecasts in, from space!! 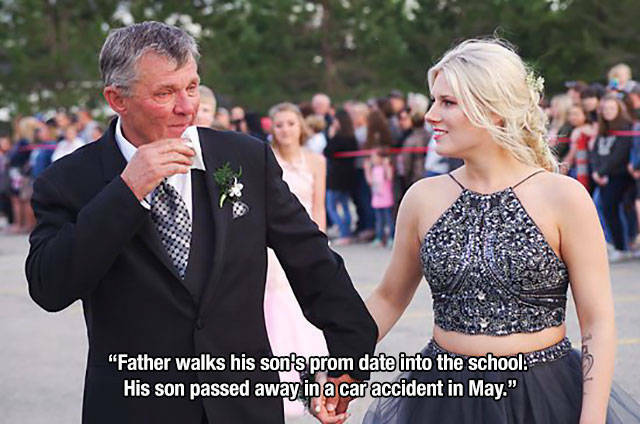 This man’s son committed suicide. 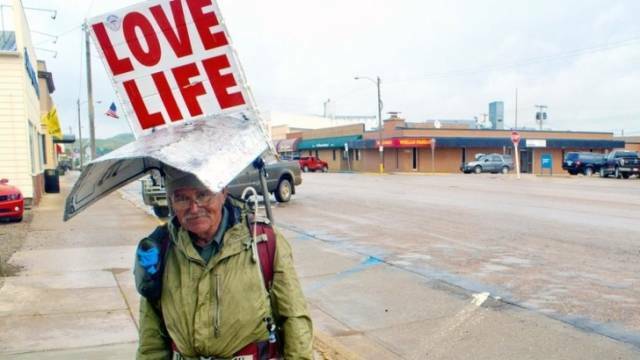 After that, he put this sign over his head and walked thousands of miles. 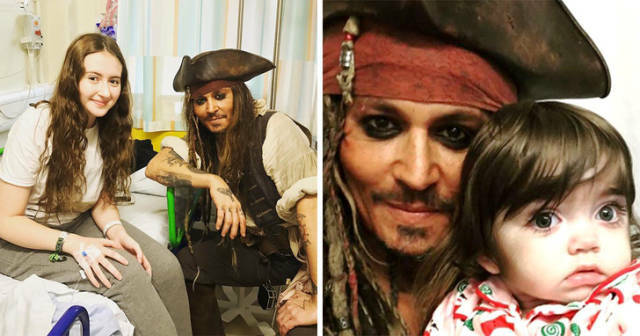 Johnny Depp visits children’s hospitals dressed as Captain Jack Sparrow. 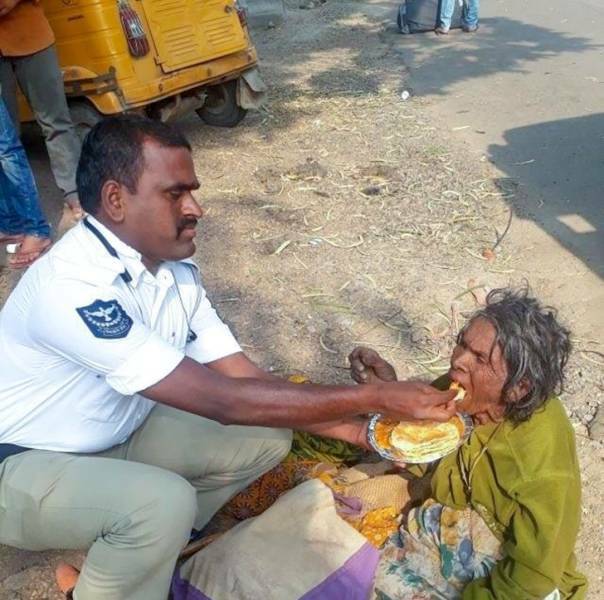 An Indian traffic cop fed a homeless woman who was too weak to eat on her own. 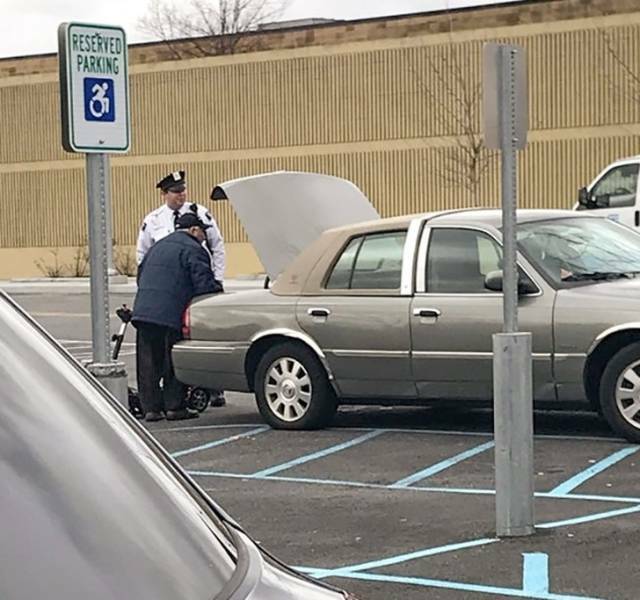 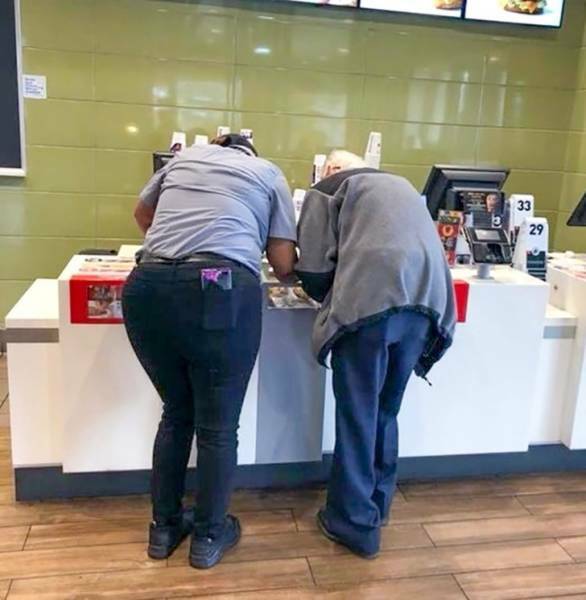 Every day this mall security guard comes outside to help this 94-year-old WWII vet get his wheelchair out of his trunk so he can have coffee in the food court with his friends. 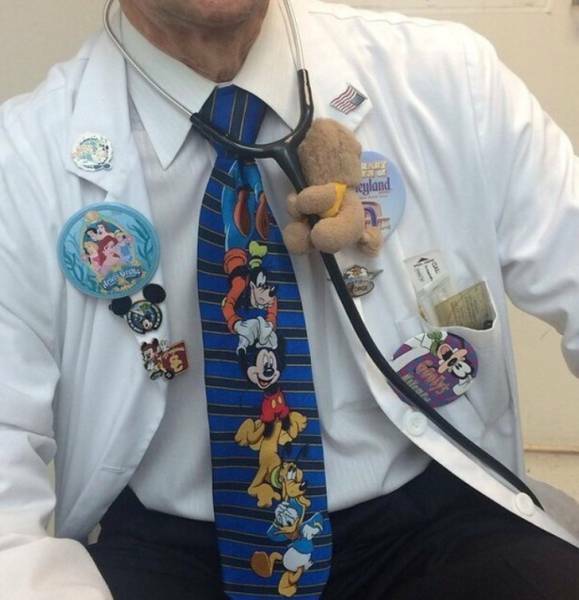 This pediatrician knows how to approach a child.